We Are One is about citizenship. It has it’s roots in Citizen Network https://www.citizen-network.org/ – an international community working for a world where diversity is cherished and equality respected. 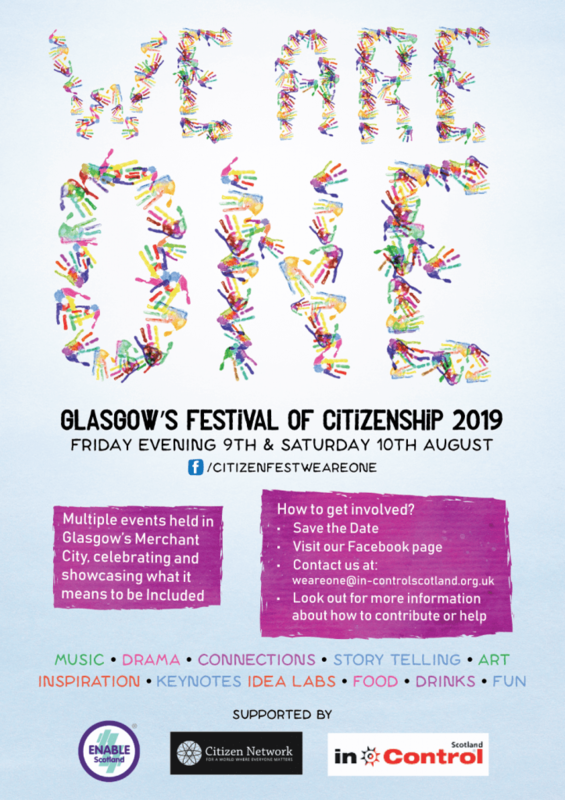 In August 2019 that community is coming together in Glasgow to stage a festival asserting and celebrating diversity and equality in equal measure. It all kicks-off on the evening of Friday 9th August with a party and club night (and early morning) inspired by our Stay Up Late campaign for grown-up freedoms!